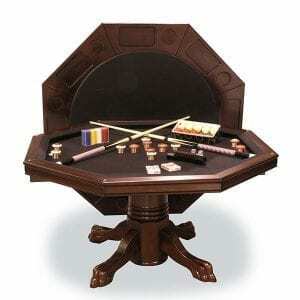 This traditional looking game table has a distinctly American look to it. Classically designed to fit into any décor, the table and chairs are made of the finest quality woods available. The table has a reversible top, one side is a smooth dining surface and the other side is a specially designed card/game table top with 8 sets of cup and chip holders. Under the top is a bumper pool playfield (cues and balls are included.) There’s no need to buy several tables for your dining and gaming needs when you can buy this combination table and chairs set. It’s great for small game rooms or makes a great addition to a big game room that needs an extra table that adds elegance to any room’s décor. 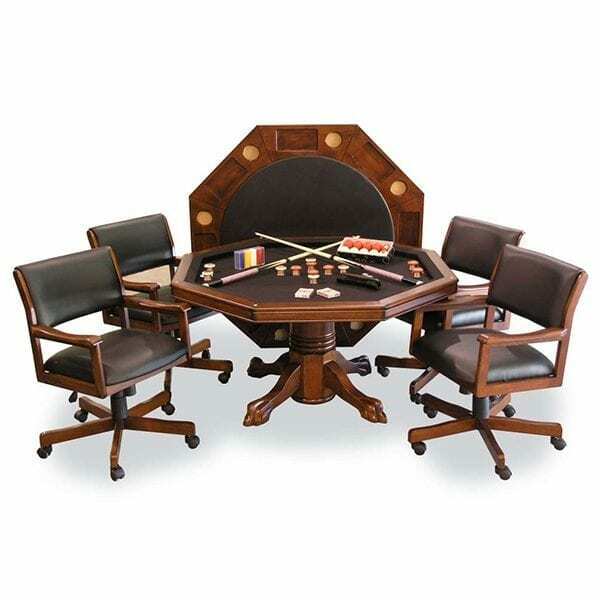 This Game table set comes with 4 Game Chairs. The chairs are sturdy, comfortable and stylish. The chairs have 360 swivel, adjustable gas lift, metal base for added stability, and faux black leatherette cushions. They rock too, which isn’t always the case with many other game room chairs. 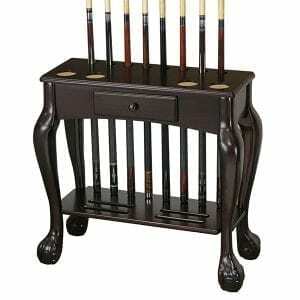 Every game room needs furnishings that can accommodate both gaming and dining. Combination furnishings (like this table and our Executive Billiard Storage Benches) make the most of your game room space while keeping you and your guests comfortable. 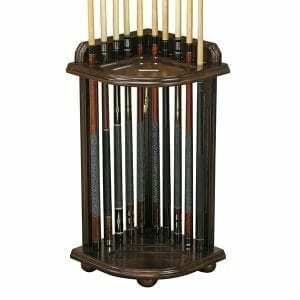 Buy several of these tables and invite friends over for a pre-game meal then transform the tables into your own bumper pool room. Engage in several bumper pool games at once and challenge the winners to a championship! It’s possible with these fun and stylish tables.